Looking for a beach paradise? 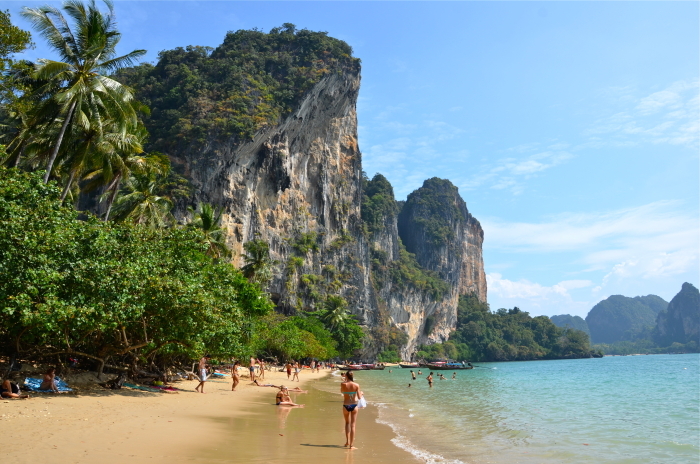 Meet Ton Sai Beach in Thailand. As the Kingdom is one of the most visited countries in SEA, it’s hard to find a lonely beach spot, just like the one we all might know from the Di Caprio movie The Beach: a tiny, picturesque bay, silky soft, white sand and coconut palm trees hanging their heads over the bay. But on my last trip to the land of smiles, I actually found a spot, that is pretty close to what you might have in mind right now. It’s name is Ton Sai Beach.